A slightly shorter version of this essay with most of the notes cut was published in the Johnsonian Newsletter, IV: 2, (Sept. 2004): 22-26. The two men's relationship drew us through the books. In the very first posting, someone asked "Did Boswell realize how much of himself he put into the book; did anyone 'accuse' Boswell of creating a portrait of himself through Johnson?" Someone responded that nonetheless "There is almost enough information to find Johnson the man out of Boswell's admiring writing," and Boswell makes the "thought recur as [we] read how great a person Johnson was in Boswell's heart and mind." Boswell's text transgresses a common assumption that a biographer is supposed to repress his presence. 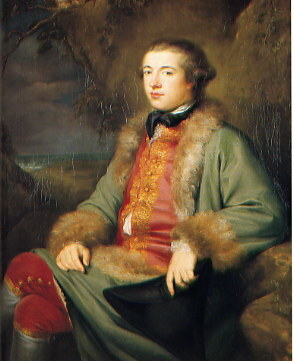 Further into the Life, a third person wrote "I'm still strongly impressed by how much Boswell is present in this book. I don't ever remember reading a biography and being so aware of the presence of the author." The perceived problem went beyond not acknowledging that biography represents an interaction between the writer and his subject.7 When we reached 1773, a couple of members concurred with yet another member's outburst: "I must say that this voice of Boswell is really driving me mad. I don't want all his explanations, but I'm carefully reading them in case he has stuck in some nugget somewhere that I don't want to miss." 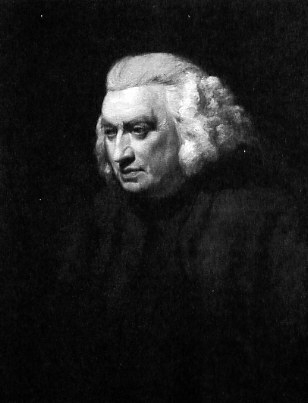 One member who was reading Johnson's Life of Savage and Richard Holmes's Dr Johnson & Mr Savage, offered the "solution" that we should "try to look at the Johnson of this period not through Boswell's eyes, but through his connection with Savage." There was a woman who followed up Boswell's book with Hester Thrale's Anecdotes. The conversation slipped away from this charged center -- though Johnson and Boswell's obsessive distress about death, Boswell's scene- making and jealousy of Mrs. Thrale, and the effect of the men reading one another's diaries were subjects canvassed more than once.11 It was decided to read the tours partly because that event had been "left out" of the Life and had changed the two men's relationship. When we read the tour books, members almost turned to the striking difference between their descriptions of the same event. 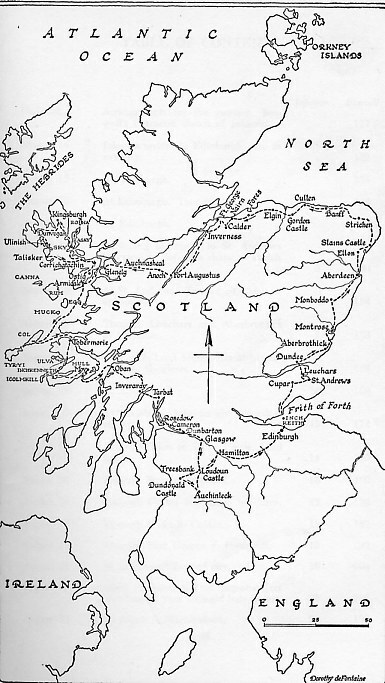 Although one list member wrote about how Johnson's analysis of Highland mountain culture could help us understand what happened on September 11, 2001,12 most active participants seemed to prefer Boswell's anecdotal and autobiographical approach, and after comparisons of Johnson's style to modern guidebooks, postings about it as an ethnography, and a little discussion of Ossian, we were back to worrying questions like, why did Johnson grow so angry at Boswell when he walked on ahead of Johnson at Gleneg? Then, at the end of the trip in Glasgow, why did Johnson run to Boswell from some "teazing" men "for refuge"? Who was insecure here? "The concluding lines of the 1749 section refer to Johnson's pleasure in spending time backstage at the theatre, a pleasure he gave up, 'for the silk stockings and white bosoms of your actresses excite my amorous propensities.' I seem to remember reading somewhere (does anyone know about this?) that Boswell altered this quotation from Johnson considerably, making it less colloquial and more sonorous and dignified in language, evidence for the alteration being found in some of Boswell's notes and private papers. The Johnson Boswell gives us is, obviously, highly mediated, despite his willingness to describe his friend's flaws and foibles." Someone responded to this by asking "How much did Boswell's relationship to Hume affect the way he was with Johnson?" There were postings on Candide and Rasselas. It was suggested that Johnson's "pessimism" was "anti-enlightenment" even though Johnson also valued "social structures that permit real hope, even if hope in the end always proves to be delusive. Life can only be liveable if imagined as progressive." There are some men, I believe, who have, or think they have, a very small share of vanity. Such may speak of their literary fame in a decorous style of diffidence. But I confess, that I am so formed by nature and by habit, that to restrain the effusion of delight, on having obtained such fame, to me would be truly painful. Why then should I suppress it? Why 'out of the abundance of the heart' should not I speak?" Isn't this a grand description of Samuel Johnson? It seems to me that this is how he approached his whole life. When I think back to the brilliance of his thoughts, all the arguments he had to win, the help he gave to so many people, and his quiet acceptance of most of what occurred during this difficult trek these two men took and indeed his entire life, I become more filled with respect for him. What must it be like to live with a brain like his, in a body that was riddled with physical problems and that held such an indomitable spirit?" The following summer she went to Scotland with a friend in quest of some of the places we had visited. She was 73 at the time. 1 Alberto Manguel, A History of Reading (New York: Viking, 1996), 44. 2 The weekly pace was 50-60 pages. Most list members quoted the 1949 Everyman 2-volume edition of Boswell's Life of Johnson; the 1970 Oxford World Classics Life of Johnson (introduced by Pat Rogers); Allan Wendt's 1965 Houghton Mifflin, and Peter Levi's 1984 Penguin editions of Johnson's Journey to the Western Islands and Boswell's Journal of a Tour to the Hebrides. 3 On "particularist motivations" and identity politics in everyday life, see Patrick Wright, On Living in an Old Country (London: Verso, 1985), 8-14. 4 Active participants included a friend and colleague at George Mason (John Radner); mostly college-educated (or seeming so) people, college teachers (Alan Tapper, Leslie Robertson, myself); people who had published on Johnson (e.g., Kathleen Kemmerer); people who had worked in publishing (Joan Wall, who had worked for McGraw-Hill at the time of the first publication of Boswell's London Journal, 1762-63); published writers and Johnson Society members (Diana Birchall), journalists (e.g., Judy Geater), and people reading for pleasure (Joanne Pope, Lisa Guardini, Magda Grantwich). The way of reading these books by these people fit Robert DeMaria's category of "perusal:" "purposeful, attentive, yet relatively easy reading." 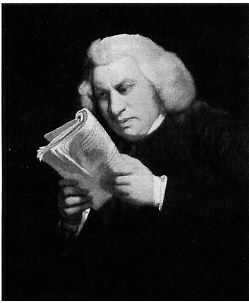 See Robert DeMaria, Samuel Johnson and the Life of Reading (Baltimore: Johns Hopkins UP, 1997), 104. 5 Ellen Moody, Trollope on the Net (London: Hambledon Press and the Trollope Society, 1999), 2-3, 47-51, 99-103, 155-59, 232n2, 242n5. 6 See Joseph D. Lichtenberg's "Psychoanalysis and Biography," in Introspection in Biography: The Biographer's Quest for Self-Awareness, edd. Samuel H. Baron and Carol Pletsch (Hillsdale, NJ: The Analytical Press, 1985), pp. 26-29, 33-34, 45-52, on Boswell as a "mirroring responder." 7 At least two active participants during the time we read Boswell's Life of Johnson and, much later on, when we were reading Johnson's Life of Savage several more, read or had read Richard Holmes's Dr. Johnson & Mr. Savage(New York: Pantheon, 1993), but most seemed to assume one could and did read biography for objective truth about the subject. The idea that many biographies are autobiographies in disguise, as, for example, discussed by Richard Holmes in the above book (as well as his Footsteps: Adventures of a Romantic Biographer [New York: Penguin, 1985]), does not seem to affect the way the non- academic reader understands and talks or writes about biographies. One must always distinguish between what people will say about their reading and what they notice; see Leah Price, The Anthology and the Rise of the Novel: From Richardson to George Eliot (Cambridge: Cambridge University Press, 2000), p. 154: "'non-analytical' readers identify sententious passages as systematically as do critics who adduce them as evidence, reviewers who excerpt them as specimens, and editors who collect them into anthologies: the only difference is that each group ignores what the other prizes." 8 No one on the list appeared to question (or at least discussed openly on line) the idea that social harmony and getting-along-with-others is the most important value in social groups. That discussions about literature or philosophy could have other critera was not brought up. No one openly defended the idea that Johnson might have cared about the content of what might be under discussion -- as well as his pride. A few attempted to sympathize with that pride, but his behavior was justified as compensation for his unhappy childhood. There was talk about his lack of rank and money but it really didn't seem to matter for the group as a whole. The group sense was Johnson should be polite and if he wasn't, he was clearly in the wrong. On this see Harriet Martineau, Society in America and the introduction to this remarkable volume abridged Martin Seymour Lipset (New Brunswick and London: Transactions Books, 2000), 22-23, where Lipset argues that Martineau was accurate when she described the lack of a sure class system as leading to the strong American "anxiety about the opinions of others" and requirement that all be polite and not threaten the status of others. Both seem to think this is not a British or English trait, but many of the active participants were British and Canadian. 9 This was John Radner whose fully-developed argument in "Pilgrimage and Autonomy: The Visit to Ashbourne" may be found in Irma Lustig's anthology, Boswell: Citizen of the World/Man of Letters (Lexington: University of Kentucky, 1995), 203-227. He advised people to read this book especially for Lustig's article, "'My Dear Enemy': Margaret Montgomerie Boswell in the Life of Johnson (228-246) on Johnson's relationship with Margaret Boswell, which people asked about. 10 Much later the group elected to read Adam Sisman, Boswell's Presumptuous Task: The Making of the Life of Johnson (New York: Farrar, Strauss and Giroux, 2000), where the radicalness of Boswell's matter is made central to his accomplishment, see for example 102-3. 11 See Brian Finney's "Boswell's Hebridean Journal and the Ordeal of Dr Johnson," Biography, 5 (1989), 319-34. 12 We began reading the two tours in late August and finished in late November 2001. The coincidence caused piquant feeling. After what felt like a stunned silence on 9/11, people wrote postings pointing out the relevance of other of Johnson's work (some of the Ramblers) to what they felt were the calamity's origins. People quoted Voltaire too. 13 She had a library copy of Boswell's Journal of a Tour to the Hebrides with Samuel Johnson. Now First Published from the Original Manuscript, edd. Frederick A. Pottle and Charles H Bennett. New York: Viking Press, 1936. 14 From The Letters of Samuel Johnson, ed. R. W. Chapman, 3 vols. (Oxford: Clarendon Press, 1952), I:353-81. 15 Presumably from J. G. A. Pocock, Barbarism and Religion: Volume 1, The Enlightenments of Edward Gibbon, 1737-1764 (Cambridge: Cambridge University Press, 1999). 16 John Wiltshire, "'From China to Peru': Johnson in the traveled world," The Cambridge Companion to Samuel Johnson, ed. Greg Clingham (Cambridge: Cambridge UP, 1997), 209-23; see J. D. Fleeman, Samuel Johnson: The Complete English Poems (New York: St. Martin's Press, 1971). Page Last Updated: 6 October 2004.